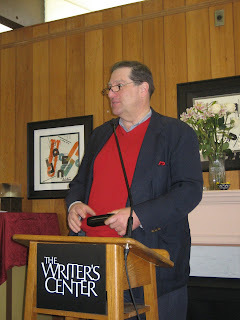 On April 5, I dragged my hubby down to the Bethesda, Md., Writer’s Center for a reading with Richard Currey, author of Fatal Light, which was re-released for its 20th anniversary through the Santa Fe Writer’s Project. Sunil Freeman, assistant director of the center, listed a number of awards and achievements for Richard’s friend, Robert Aubrey Davis who works at Sirius Satellite Radio on The Village. Robert joked about how Richard wrote him notes about what to say when he introduced him at the reading. Robert talked about Richard’s early work as a poet and quoted from a poem that his friend wrote. Richard stepped up to the podium, thanked his nephew for helping him get Fatal Light republished. Richard haggled with the original publisher of Fatal Light to obtain the rights to the work for republication. He’s working with Operation Homecoming, sponsored by the National Endowment for the Arts, to help today’s veterans see writing as a way to deal with their demons through writing workshops and other programs on bases across the United States and abroad. Fatal Light was written in Richard’s early 20s, and depicts soldiers plucked from the innocence of their lives and dropped into the confusion of war, leaving them to pick up the pieces of their own lives when they return home. The events in the novel are based upon experiences he had as a naval corpsman and medic. He hopes the novel speaks to the current Afghanistan and Iraq generation. Coming from a background in poetry writing, Richard said he had to focus on the structure of the novel, though Fatal Light is not written in chapters and is much more like a puzzle. As Richard read, his somber tone lulled the listeners quickly, but there was a anxious atmosphere as we waited for the other shoe to drop. I noticed that while Richard was reading, he seemed entranced by the words he read from on the page, as if he were drifting into older memories. Whether those had to do with Vietnam or other memories related to the writing of Fatal Light, I don’t know. The passages he read were very poetic. Richard was humbled by the applause and reiterated that the characters are fictionalized and an amalgamation of two or three people within a fictionalized plot. 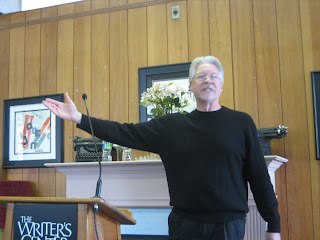 Richard indicated during the question-and-answer session that he was influenced by Faulkner, Carson McCullers, Flannery O’Connor, and he enjoyed the contemporary works of Raymond Chandler, Tom Franklin, William Gay. He called himself an undisciplined reader. 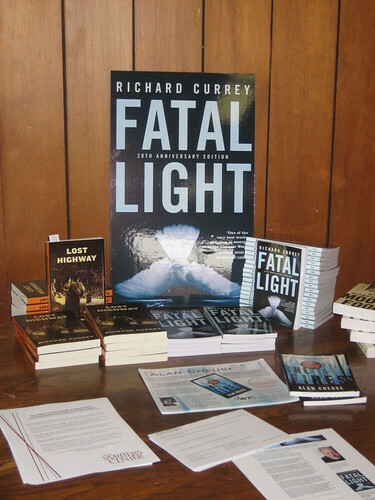 It was a fantastic reading, and it was great to chat with Richard Currey afterward and get my copy of Fatal Light signed. I can’t wait to read and review this quintessential work of Vietnam War literature, and hopefully, Richard will be amendable to an email interview. 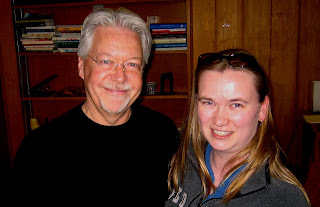 And here’s another special treat, my husband and I remembered to get the camera battery charged and we took these great pictures, including one of Richard and I. Check out the new introduction from the 20th Anniversary edition, here. 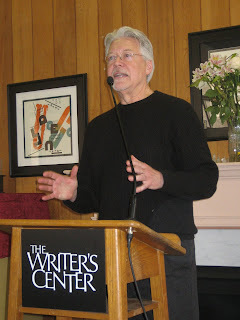 Want to hear more about The Writer’s Center event, click on over to Art & Literature. Born in 1949 in the small town of Parkersburg, West Virginia, Currey’s literary ambitions started early—and were fueled by his grandfather. Currey’s family moved to Washington, D.C. in 1961—where he was drafted in 1968. In an effort to avoid the Army, Currey enlisted in the Navy. Ironically, he was trained in jungle warfare and special operations, and saw service as a medical corpsman attached to the Marine Corps’s Fleet Marine Force. 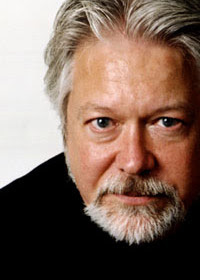 By his 20th birthday Currey was, as he has since written, “sewn into a new skin.” His military experiences were not to emerge as literary themes for some time, however—Currey started his writing life with poetry, and published many poems before the first version of Crossing Over: The Vietnam Stories was picked up by a small Boston publisher in 1980. The book became a cult hit, and was named a “Best Title of the Year” by Library Journal. But it was the novel Fatal Light that would establish Currey’s international reputation, with widespread critical acclaim and 20 different editions published in 11 languages. The book was nominated for the PEN/Hemingway Award, and brought its author the Vietnam Veterans of America’s Excellence in the Arts Award and a Special Citation from the Ernest Hemingway Foundation. I have 1 copy of Jill Mansell’s An Offer You Can’t Refuse; get two entries, comment on my review and my interview. Deadline is April 11 at Midnight.